The present weir was completed in 2014 replacing the previous weir from 1963 which had been a significant barrier to fish migration. 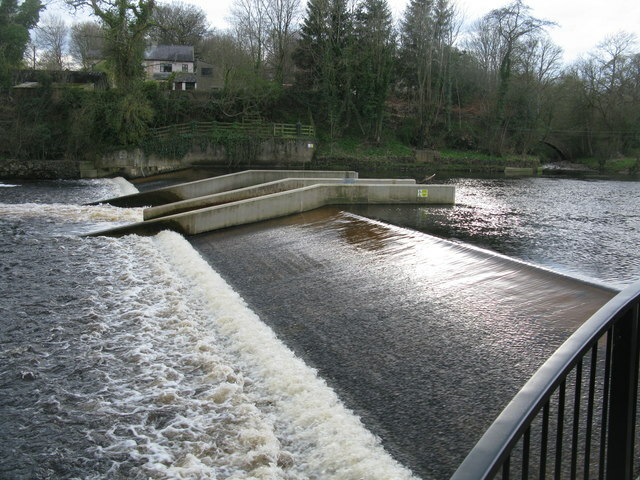 The new Larinier fish pass has a series of baffles that slow the flow of the river. This allows Atlantic salmon, brown trout and grayling to move freely up and down the river. © Copyright G Laird and licensed for reuse under this Creative Commons Licence.